The US Secretary of State Mike Pompeo has allowed military aid to the Saudi coalition in Yemen to continue, despite the increasing concern about civilian casualties, although he insisted ending the civil war remained a priority. Saudi-led forces are pushing to recapture the key port of Houthi rebel-held Hodeidah, where 80% of aid to Yemen comes in. This latest assault is an attempt to cut off the main supply route from the port to the capital Sana’a. 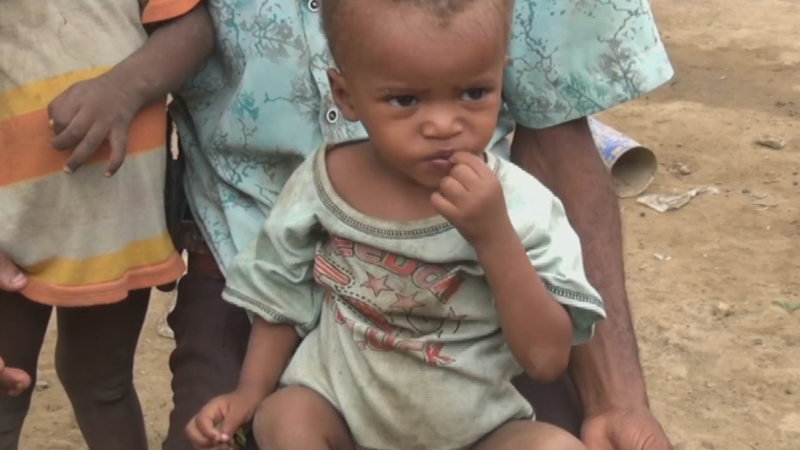 And the humanitarian crisis grows ever more desperate, with new footage showing the impact on Yemen’s children, which viewers may find distressing.